“Characters”? 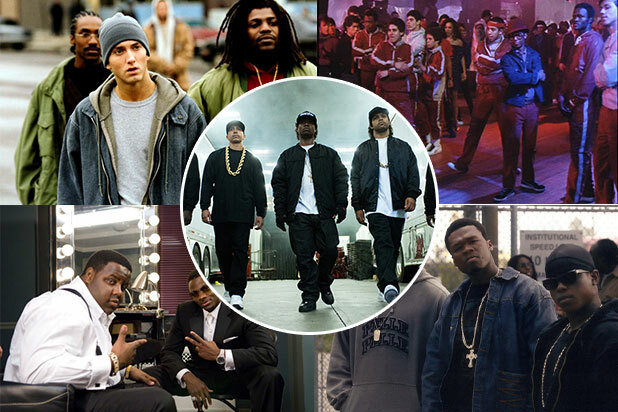 If they mean Ice Cube reprising his stolid portrayal of a block of granite and Kevin Hart further wearing out his big-screen welcome as a “shrieking” (to quote the film) loudmouth, then “characters” is far too generous a term for the barely-there personages that these actors have been asked to revive. Once again, these talented performers are paired with director Tim Story, who found genuine laughs — and yes, actual characters — with them in “Barbershop” and “Think Like a Man.” In the “Ride Along” movies, however, both the stars and the filmmaker are phoning it in, mistaking volume for wit and punches for punchlines. It’s a dispiriting waste of abilities on both sides of the camera. The only new element here is Olivia Munn as a Miami detective whose skill at disabling James via soft-tissue manipulation makes her an instant love interest for James. This movie doesn’t waste her talents quite as much as “Mortdecai” did – Munn at least gets to do some sensuous salsa dancing with bad-guy Benjamin Bratt – but when you compare her big screen roles with the richness of her work on “The Newsroom,” it’s no wonder so many actresses flee to television. As for Kevin Hart and Ice Cube, they’re forced to play the same loud-guy-fuming-guy bits over and over throughout the film, reducing them to a fifth-rate version of Lucy and Ricky Ricardo, only heavily armed. From gleaming cars cruising past the ocean to bikini-clad models taking outdoor showers, there’s not a Miami Beach cliché that Story and cinematographer Mitchell Amundsen (“Transformers”) can resist; the only moment that’s of any visual interest comes when a car chase turns into something out of Grand Theft Auto: Vice City in Ben’s PlayStation-programmed mind. The film’s most genuinely funny moment involves A.J.’s ringtones, which should perhaps come as no surprise — the stakes, and the laughs, are so small that “Ride Along 2” was apparently designed to be watched on your phone.